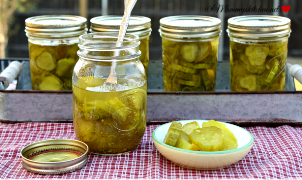 Today I have some exciting news and a special recipe to share with y'all!!! I have kept this secret under wraps for a couple months now, and I''m about to burst at the seams. I am excited to announce that Martha White has partnered with the Country Music Association as a sponsor for The 49th Annual CMA Awards! The CMA Awards - Country Musics Biggest Night™ air live in Nashville from the Bridgestone Arena on Wednesday, November 4th at 8/7 CST on ABC. This is the night when the Country Music industry honors its finest entertainers and celebrates 49 years of excellence. There will be dozens of performances and countless special moments throughout the night, so I hope everyone will tune in and watch. 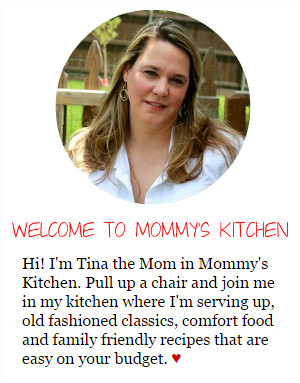 What does this mean for Mommy's Kitchen and all my readers? Well, every year I watch the CMA Awards from the comfort of my home and it's always a blast. The music, the excitement, and all my favorite country stars, Luke Bryan, Florida Georgia Line, Miranda Lambert, and my girl Reba!!! Well, this year will be a little different for me, because.............. this year I will be going to the CMA Awards in Nashville!!!!!!! How cool is that? I'm so excited to attend and do a behind the scenes post all about my experience and the excitement of the CMA Awards. Someone slap me, because I still can't believe I'm going. Nashville is one of my favorite cities, the people, the scenery, the music, and the food. Oh, how I love the food!!!! 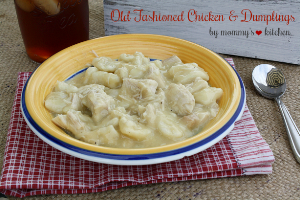 Food and country music go hand in hand, like an old southern recipe, they always have a story to tell. I'm so excited to be returning to a city that welcomes you like family. I don't want y'all to feel left out, so I'm excited to say that Martha White wants to send ONE OF YOU to the CMA Awards too!!!!!!! Awesomesauce!!! I'm just full of surprises today. The Grand Prize is a trip for Two to Nashville (airfare, hotel and transportation included). The winners get to attend the CMA Awards, as well as tour the Country Musics Hall of Fame/Museum and a special recording experience. 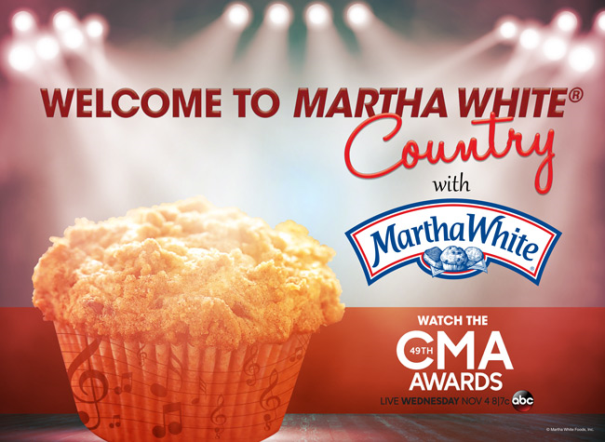 For more DETAILS on the Martha White CMA Awards Sweepstakes, stop by Martha Whites Facebook Page. 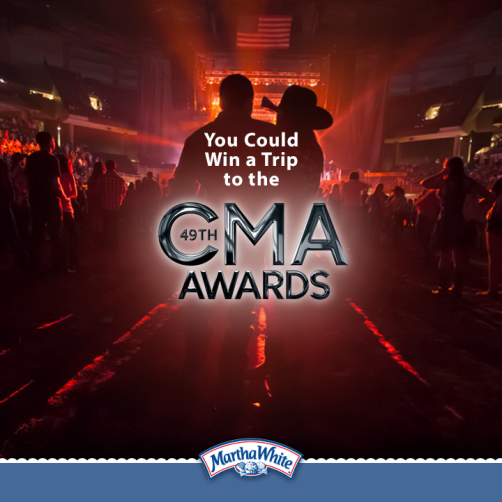 The CMA Awards Promotion ends on September 30th 2015! at 11:59 pm (ET). Click HERE for the OFFICIAL RULES. 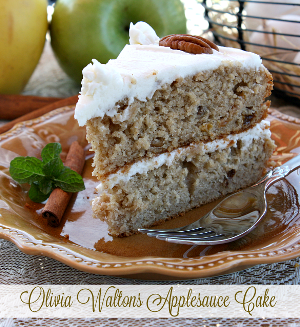 In honor of the CMA Awards, and to celebrate this fabulous partnership, I have a few Martha White award-inspired treats to share with you. 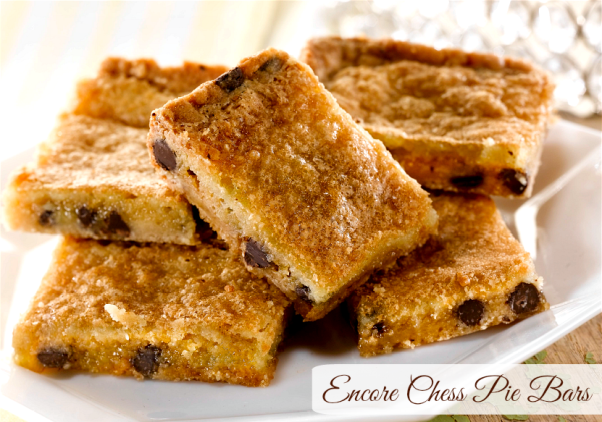 The recipe I'm sharing today is for these tasty Encore Chess Pie Bars pictured above. These yummy little chess bars start with a Martha White Chocolate Chip Muffin Mix, and few other basic ingredients. My mama always said simple is best and you can't get any simpler than a Southern Chess Pie. Chess pie has always been a favorite dessert in our house. I made these chess pie bars and my family gobbled them right up and is already requesting an encore!!!!! Get it??? 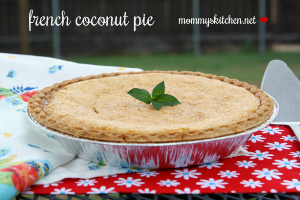 All I can say is that if you're a chess pie fan than you will fall in love with this easy pie bar version, so I hope you'll give this recipe a try. To make the crust: Heat oven to 350°F. Spray 13 x 9-inch baking pan with no-stick cooking spray. Combine muffin mix and butter in large bowl. Blend with fork just until crumbly. Distribute evenly in prepared pan. Press into bottom and about 1/2-inch up sides of pan. Bake 15 to 20 minutes or until very light golden brown. Cool. For the filling: BEAT eggs on low speed of electric mixer. Add sugar and beat until well blended. Stir in remaining ingredients. Mix well. POUR filling over crust. BAKE 20 to 25 minutes or until light brown and filling is set around edges. (Filling may puff while baking, but will settle as it cools). Cool 1 hour or until completely cooled. Cut into bars. Store in refrigerator. 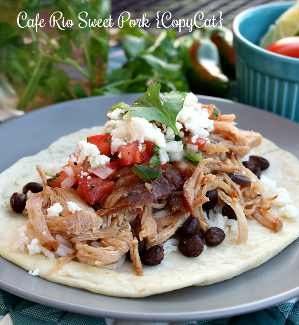 Recipe source: Martha White Foods, Inc. The fun doesn't end just yet, because I also have a fun little Martha White Muffin Mix giveaway for all my Mommy's Kitchen readers! All the details are listed below. Winner of the Martha White Prize Package is comment #51 David Lintz. 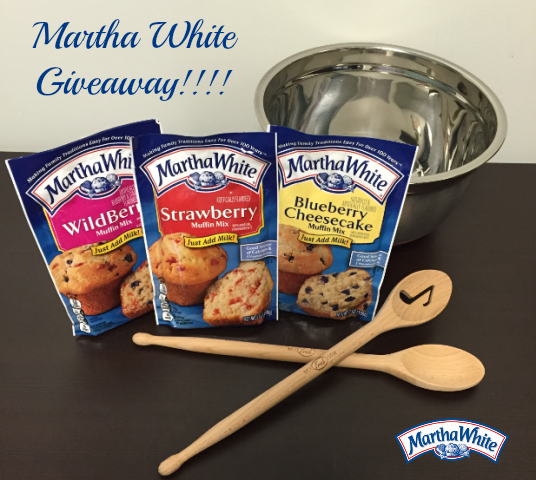 Martha White Muffin Mix Giveaway!!!!! Leave a comment on this post telling me your favorite Martha White Muffin Mix Flavor (Mandatory Entry). 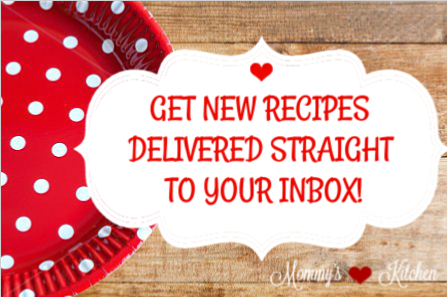 Tweet the following for a bonus entry: Stop by @mommyskitchen for a chance to win a #marthawhite #muffin mix prize package http://tinyurl.com/nz4rygo. Come back and leave a separate comment letting me know. Rules: The Martha White Muffin Mix giveaway starts today August 26th 2015 and ends at midnight on August September 5th 2015. This giveaway is open to US Residents only due to shipping charges. If you leave an anonymous comment please include your email address in the event that you are the winner. One random comment will be chosen and notified via email. The winner will have 48 hours to reply or a new winner will be chosen. Good luck to everyone! 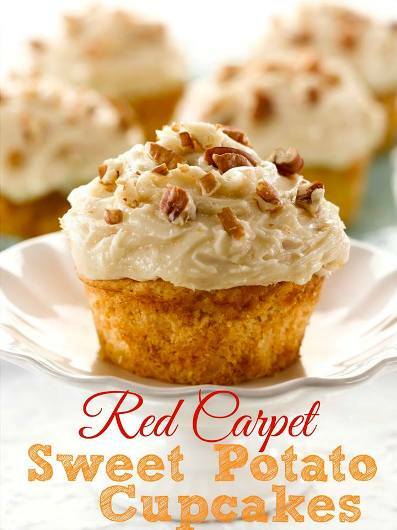 Stop by The Country Cook and check out these Red Carpet Sweet Potato Cupcakes. These yummy cupcakes are made using Martha White's New Sweet Potato Muffin Mix! These cupcakes are definitely going on my to bake list. 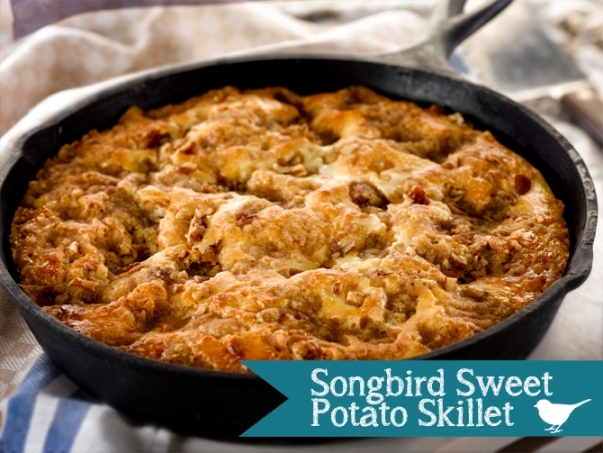 And for even more sweet potato deliciousness check out Stacey's Songbird Sweet Potato Skillet over at Southern Bite!!! I love their Blueberry Muffin mix ~ I just throw in some fresh berries when they are in season to add that summer freshness! I've never tried the Martha White muffin mixes. Can't say that I've ever bought a muffin mix of any kind. But the Blueberry Cheesecake sounds really yummy since I love blueberry and cheesecake. Michele the blueberry cheesecake are wonderful. I used it to make a cobbler and cookies last year. I like the strawberry. My 10th grader son has been learning how to cook this summer, so that he will be ready for college. He would love to make this muffins. My son loves pancakes and muffins Strawberry and Chocolate chip are our favorites. I make 1 package Strawberry as pancakes and 1 package into muffins for as snack. Then you get the best of both worlds!!! Cranberry Orange, Chocolate Chocolate Chip, and Blueberry Cheesecake are my favorites. I like plain old cornbread. There are so many, what to do, what to do. I love the corm muffin, my husband loves the blueberry, and chocolate chip. We really love them all. How exciting for you to be able to attend the CMA Awards. One of those, once in a lifetime experiences. I like using the Martha Wright's mixes in a pinch. 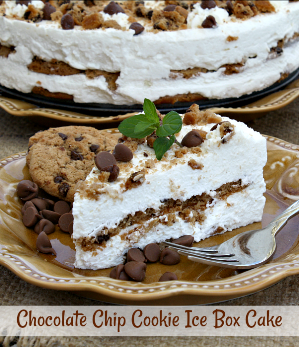 My favorite; guess it would be Chocolate Chip but enjoy using any / all of them. We like the plain cornbread and also blueberry. My favorite is blueberry. Love Martha White. Have used it for years. I love the blueberry, but it looks like we need to try the blueberry cheesecake! My favorite is Blueberry Cheesecake! My favorite is the Blueberry Cheesecake! Thank you for the wonderful giveaway. Mine is the wild berry but all of them are delicious! 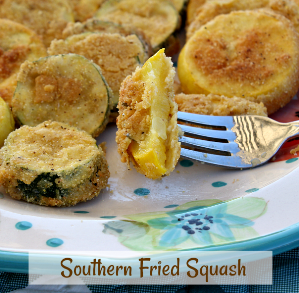 Lemon Poppy Seed is my fave and I always use their yellow corn meal for my cornbread. How can I say which one is my favorite, and I haven't tried them all yet. I'm new to this product. I see some flavor's I've never seen anyone else have. I am glad I get the email so that now I know. Hope my store carries the all. Want to get next to the berry and strawberry ones, plus the cheesecake ones. 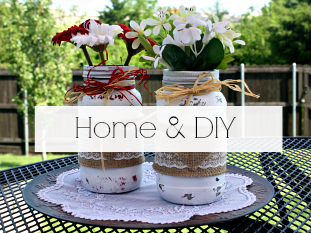 I love Martha White mixes, I use them 3-4 times a month. My favorite is The Wild Berry. Thank you for giveaway and congratulations on your upcoming trip ! 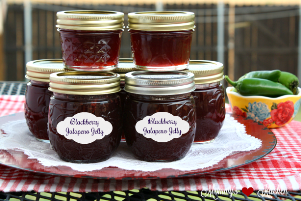 Wild Berry is my favorite Martha White mix! I use it all the time! My favorite is the classic Buttermilk Cornbread & Muffin Mix. We love Martha White's blueberry muffin mix! It's a quick fix for a random sweet tooth so I always keep some on hand! My favorite is Apple Cinnamon. I like their cornbread muffin mix the most!!! I love the chocolate chip, but my husband and daughter prefer the blueberry. Lovely giveaway! Blueberry cheesecake-- hands down! 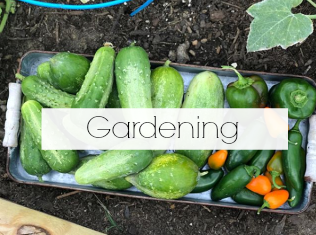 I love their lemon poppy seed muffin mix! We primarily buy the corn muffin mix. We add whole kernel corn and they come out so moist. The Chocolate Chip Muffin Mix is my favorite. Blueberry, but want to try the Blueberry cheesecake asap. Blueberry cheesecake is my fave! Yum!! The blueberry is one of our faves! My family is in love with the blueberry!!!! My favorite is Blueberry Cheesecake. Love the Strawberry muffin mix! 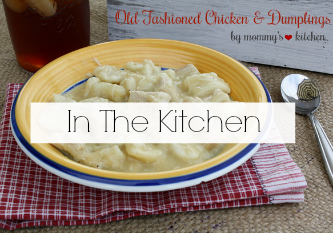 A family favorite! Cranberry Orange and blueberry are so yummy. Cranberry Orange is the best! I love the strawberry ones, I have never had a batch of these muffins fail! Have yo have the corn bread with the chili, yummy!!!!! !